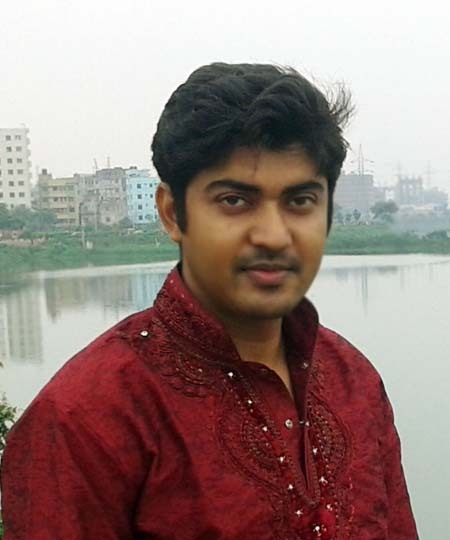 I am working as Sr. Network Engineer at Data Network, IP Transmission Network Planning, Technology Department & it is a Bangladeshi NTTN service provider company. My Responsibility: Implementation & Troubleshooting Layer 2, Layer 3 & FTTx Technology With (Cisco, Juniper, Huawei, ZTE, Alcatel & LScable device). From 18 August, 2013 to continue. I am looking a GPON related good opportunity in Bangladesh. Gpon Solution is my personal website not professional company. I make this site for everybody, who want to learn GPON technology. May be it will help for basic configuration & knowledge. Also I provide part-time logical/technical support to configure OLT/ONT service & other troubleshooting if it within my Knowledge. I didn’t sell any product/Device. if anyone want to buy GPON OLT/ONT/SFP/Splitter etc device, E-mail me i will give you good China supplier contact details, who sell GPON device & where you will get very lowest price from competitive market. I have Huawei U2000 R009 & R015 NMS software with cracked License & ZTE NetNumenU31 NMS software for GPON OLT/ONT configure & Monitor. Payment Methods: PayPal / Skrill / Payza. International Master/VISA Credit Card or Western Union. Implementation and Troubleshooting of Data Network Components including Switches, Routers to provide a standard service provider infrastructure. Cisco IOS, XE, XR (ASR9010, ASR-902/903, ASR-920 & ASR-901) Juniper (MX10, MX80 & ACX1100) Router configuration and service implementation for Telco & ISP. Cisco ME3800, ME3400, 2960, Huawei Quidway S6300, S5300, S3300 series switch configuration and provide solutions to customers under service provider manner with QinQ, Staking, Trunking, QoS policy, LACP, Ether-channel etc. GPON service configuration and troubleshooting with Huawei MA5600T/MA5680T/MA5603T/MA5683T/MA5608T OLT, Alcatel-Lucent 7360 ISAM FX-8 , FX-4 & LS Cable LST20016 OLT. Configuring the FTTB and FTTH internet service by access, trunk & Q-in-Q link with QoS policy. Back end customer support – Provide critical fault handling techniques to the support department for customer, and Provide 2nd level support to customer. Vendor Management – Coordinate with Vendors for quality improvement of the network, to ensure timely repair of faulty equipment, and Network tools analysis and up gradation. IP Networking: Knowledge of OSI layers, TCP / IPv4 & v6. IP Subnetting including VLSM. Layer2 Protocol: STP, RSTP, MSTP & ERPS. Routing Protocols: RIP, RIPv2, EIGRP, OSPF, BGP (iBGP, eBGP & MP-BGP), IP/MPLS with L2 & L3 VPN (VPLS & H-VPLS, VRF), HSRP, GRE, IP Sec, DMVPN. NAT: Types of NAT, working procedure, PAT, troubleshooting. ACL: Configure network security on your switch / Router by Using Access control lists (ACLs). Server Technology: Configuring (Active Directory Domain Controller, DNS, DHCP, FTP, Telnet, IIS, VPN, File Server, Print Server) in windows & (DNS, DHCP, FTP, Telnet, NFS, VPN, Samba, File Server & Mail Server) in Linux Platform. FTTx Technology: Implementation & Troubleshoot GPON device like (Huawei, Alcatel & Ls-cable: OLT, ONT, ONU etc.). MikroTik: Configuring of MikroTik HotSpot, VPN through PPTP, L2TP. PPPoE, DHCP, Proxy, PCQ, PCC, Load-balancing etc. Great job. good. very good and thank you very much. it will help many engineers and technical personnel. keep it up. We are interested into hire expert into huawei GPON headend that help us to do fine tuning. Are you available ? I also work on GPON and use Huawei devices back here in Nigeria. With 1 of the Major telecoms firms in West Africa. I see that you only work with GPON, but would you be interesting in consulting/taking look at our multicast configs for EPON? I don’t believe the setup would be much different than GPON, we’re just looking for a second set of eyes with Huawei experience to look for anything obviously wrong. i need help with multicast vlans on an ma5600. i have a consulting budget available. This is great job… Best of luck. This is Ram from India. we recently purchased HUAWEI smartAX MA5683T. We are facing problems while configuring the OLT and also while configuring ONU to OLT. Its an GPON Technology. We will be waiting foryYour help and suggestions. ONT Registration Status: Successfully registered the ONT with the OLT. OLT Service Configuration Status: Failed to obtain the status because the OLT version does not match. EMS Configuration Status: No XML configurations applied. I can obtain ip, but facing too much package lost when pinging public ip, and cant connect to any website. Is it a configuration problem or hardware problem? I want to move a ONT from one Gpon port to another due to fiber reassigment ? There is an easy way of doing that instead of deleting the service port, delete ont and add againg ? sorry, you need to follow this processes. no shortcut way. 5. New service port create. huawei olt ma5608t olt i want only data configurations how to configurations ? Hi. We have a lot of MA5608T with V800R013C00SPC100 and V800R013C00SPC101 with 3rd party licence patch. Now we have problem with 2048 ONU limitation. Do you know something about this limitation? May be you know a software version without this limitation and with support 3rd party ONU? your R013 version OLT support per pon port maximum 1:64 ratio ONT. Hi, I've got Huawei OLT MA5680T with version: MA5600V800R013C00, two borads GPFD 16 PON port. You wrote that the max. ONT per port are 1:64.
about the max. ONT per port. I heard that the max. is 128 ONT. Is it correct? If your OLT Firmware version Above R016 then you can connect maximum 1:128 ratio. In Huawei GPON OLT that feature called VLAN Stacking.